Smartphones are essential to our daily lives. They help us stay connected and keep us organized. 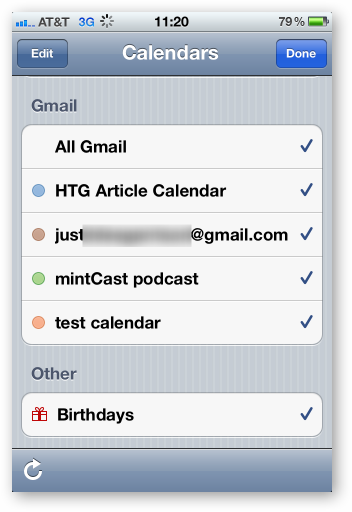 But when it comes to calendar syncing and Gmail there are limitations. 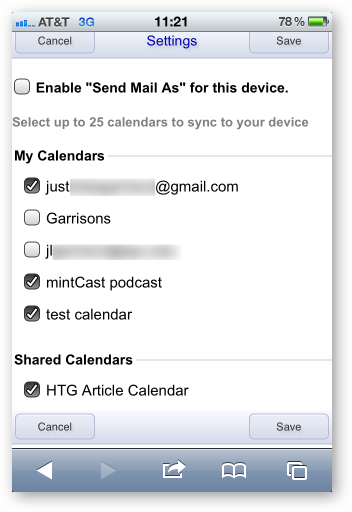 Here’s how you can sync your shared calendars and contacts from Gmail. If you use Gmail you probably know about the ability to create and share calendars with others. They help keep groups organized and even let you subscribe to public events. When it comes to getting that information on your smartphone there are some trade offs if you are on a non-Android phone. Android phones will sync your email, contacts, and all of your calendars by just singing into your Gmail account. 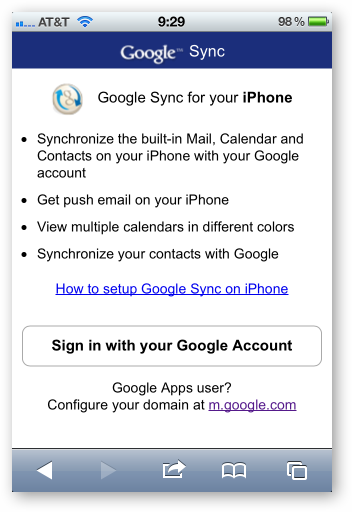 If you have an iPhone however, you will miss out on contact syncing if you set up your account as a Gmail account. There is another option. You can set up your Gmail account as an Exchange account and be able to sync your email, contacts, and calendar, but by default it will only sync your primary calendar. 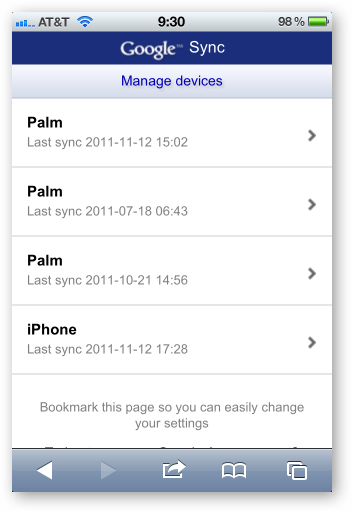 Sign in with your Google account and then select which phone you want to change your sync settings on. Select which calendars you would like sync with your phone. Open your calendar app and open calendars in the top left corner. You should now see multiple calendars listed under your account instead of just the primary one you had before. If you don’t, hit the refresh button in the bottom left corner or just give it 5-10 minutes to pull in your new calendars. 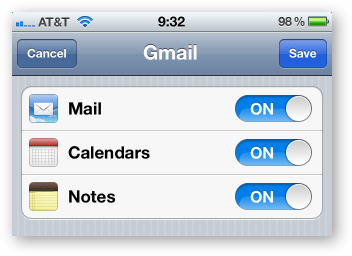 If the calendars still do not show up, go to your settings app and remove your Gmail account and then add it again. Once you see your shared calendars, check the ones you want to view by default in the calendar app and you are all set. If you have problems with the m.google.com/sync web page not forwarding properly from your mobile browser you can also go to https://www.google.com/calendar/iphoneselect from your computer’s browser to turn on and off calenders for your iPhone. 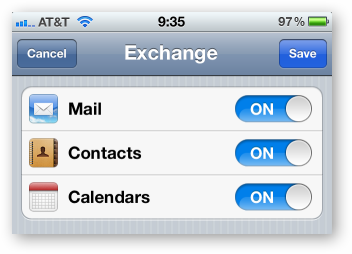 This will bypass the device selection but may work for non-iOS devices connected to Gmail via Exchange.